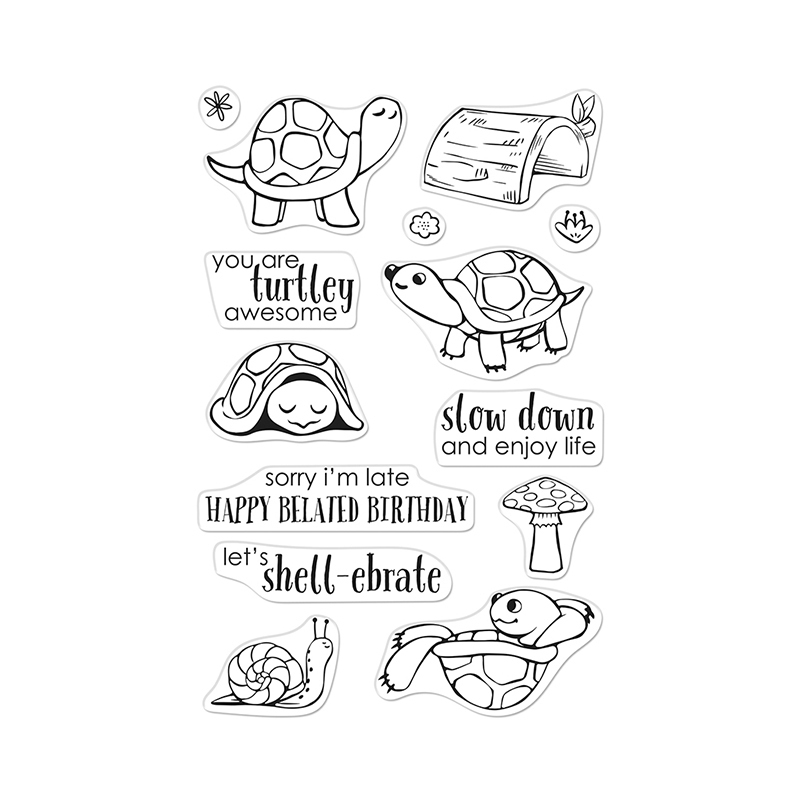 Slow down and have some fun with the Pet Turtle Clear Photopolymer Stamp Set by Hero Arts! 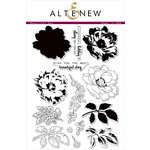 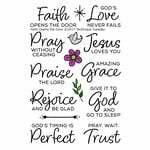 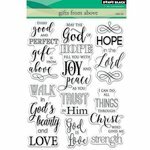 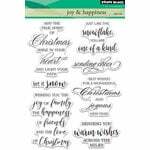 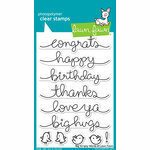 Included in the set are 14 clear stamps that come on a 4" x 6" storage sheet. 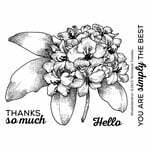 The stamps are made in the USA and can be used with an acrylic block and your favorite inks, sold separately. 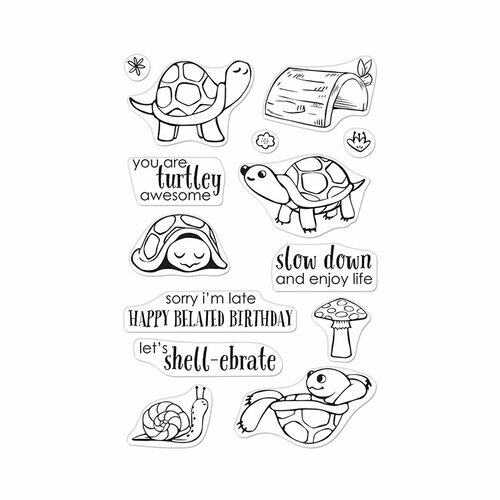 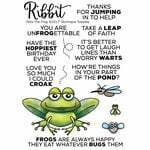 Featured images include turtles, mushroom, snail and phrases.